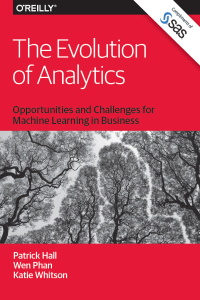 Learn from the experiences of two companies that have successfully navigated both organizational and technological challenges to adopt machine learning and embark on their own analytics evolution. Analytics is now an expected part of the bottom line. The irony is that as more companies become adept at analytics, it becomes less of a competitive advantage. Businesses are now being forced to look deeper into their data to increase efficiency and competitiveness. Enter machine learning. Recent advances have led to increased interest in adopting this technology as part of a larger, more comprehensive analytics strategy. Incorporating modern machine learning techniques into production data infrastructures is not easy. Read this report to learn more about modern applications for machine learning, including recommendation systems, streaming analytics, deep learning and cognitive computing.